In this tutorial we will see how to use this GUI tool called boot-repair which fixes most of the common grub related problems. 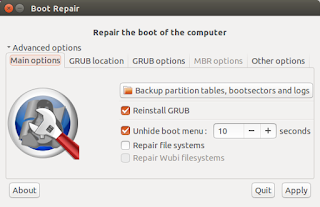 The most common problem is the overwriting of the GRUB bootloader by the windows bootloader when windows is installed after ubuntu. or overwrite your MBR. And also if your GRUB has broken you won't be able to access your operating systems. 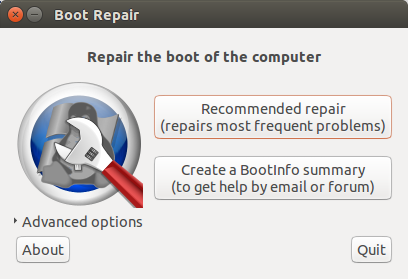 Make sure you boot from a bootable pendrive/CD to before using this tool.